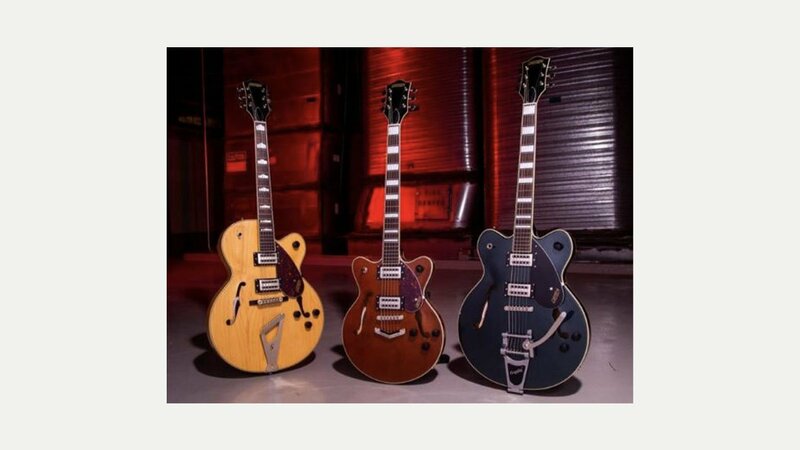 Gretsch have updated their budget Streamliner Collection for 2019. The G240T Streamliner Hollow Body with Bigsby comes in Candy Apple Red, Golddust or Riviera Blue. The G2420 Streamliner Hollow body takes a more vintage vibe with Aged Brooklyn Burst, Village Amber and Walnut Stain finishes. The G2622T Streamliner Center Block with Bigsby comes in a Gunmetal, Riviera Blue or Torino Green finish. For the G2622 (with V-Stoptail), you can have it in a Phantom Metallic finish, Single Barrel Stain or Walnut Stain finishes. The smallest-sized guitar in this Collection, the G2655 Center Block Jr. with V-Stoptail is resplendent in Gunmetal or a Single Barrel Stain and with Bigsby you can have it in Fairlane Blue or imperial Stain. All very cool. And the best thing? The price.